AUSTIN, Texas -- The Texas House of Representatives recently overwhelmingly passed House Bill 3, legislation co-authored by Representative Andrew Murr that invests $9 billion in Texas classrooms to boost student achievement, support teacher quality, reduce recapture and provide property tax relief. Following a full day of discussion and debate on the House Floor, House Bill 3 passed the House with 149 votes. School finance reform is a top priority for the Texas House this session and was declared an emergency item by Governor Greg Abbott. House Bill 3 is the first major rewrite of school finance laws undertaken without the threat of a court order, and it puts a stop to decades of patchwork fixes by creating a more equitable public education system. • Invests in Texas students and teachers by adding approximately $9 billion in funding above enrollment growth and current law entitlement over the next two years. • Empowers local school districts to put more money in their classrooms by raising the Basic Allotment from $5,140 to $6,030, an $890 increase per student. • Devotes $2.7 billion toward property tax reduction. • Lowers school district property tax rates by an average of 5.5% statewide. • Reduces recapture or “Robin Hood” by 38% this biennium. • Guarantees that 25% of the new money will go toward increasing compensation for school district employees. • Requires voters to authorize tax rates above $1.01 in an election (three cents lower than current law). Before going to voters for a tax increase, districts must also conduct an efficiency audit to ensure taxpayer dollars are being used responsibly. • Establishes an early reading program that funds full-day, high quality Pre-K for low-income students, setting the right foundation for students to be able to read at grade level by third grade. • Allots funding to districts to recruit and retain quality teachers who take on the challenge of teaching at high-needs or rural schools. • Raises the minimum teacher salary schedule. • Enhances the yield on the “enrichment” pennies, allowing schools to earn and keep more money for property taxes levied above the standard Tier 1 tax rate. • Requires local school boards to set student achievement goals for 3rd grade math and reading. • Updates the transportation funding model from a burdensome linear density model to a simplified one dollar per mile reimbursement. • Allocates resources to low-income students based on census blocks that are tiered according to economic disadvantage. House Bill 3 prioritizes students with the highest needs and provides more funding to schools with higher concentrations of economically disadvantaged students and generational poverty. • Quadruples the amount allocated to fast growth districts to build and equip new instructional facilities funding to $100 million per year. • Adds a reimbursement for the cost of transporting homeless students and CTE students to work-based learning sites. • Creates a professional development grant program to train teachers in blended learning instruction so they can effectively combine e-learning and traditional classroom instruction. • Equips districts with the resources needed to identify and intervene at the earliest signs of student dyslexia and related disorders. 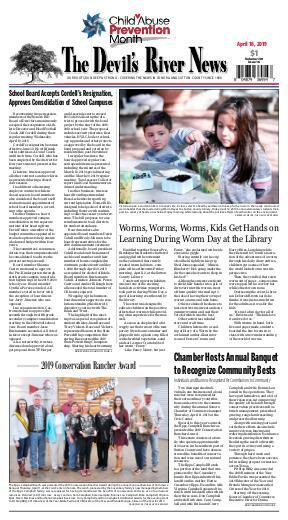 • Establishes an extended year program that allows districts to combat “summer slide” by providing 30 days of half-day instruction for students in grades PreK-5 during the summer months. • Establishes a grant program for districts to offer parents of economically disadvantaged students with learning disabilities in grades 3-8 access to additional services to help improve educational performance. 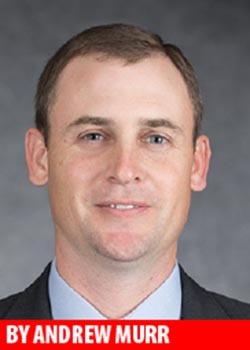 Andrew Murr represents House District 53 which includes Bandera, Crockett, Edwards, Kimble, Kerr, Llano, Mason, Medina, Menard, Real, Schleicher and Sutton Counties and covers approximately 15,000 square miles of rural Texas.